Butch Cassidy and the Sundance Kid made plenty of getaways with stolen goods. Why not plan your own getaway? 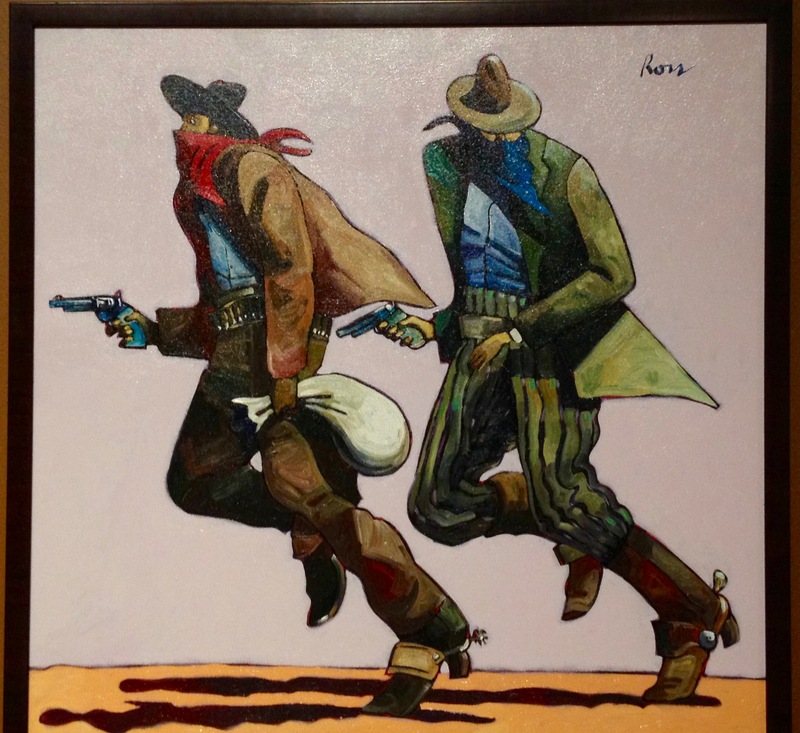 There’s a hidden treasure waiting to be found in the little town of Cartersville, Georgia: the Booth Western Art Museum. This pueblo-styled museum, featuring Western artists from the 20th and 21st centuries, is the only one of its kind in the Southeast, and home to the largest permanent Western art exhibit in the U.S.
You don’t have to be a cowboy fan to enjoy a visit. The Booth’s galleries include “Faces of the West,” where you’ll find works portraying legends like Geronimo and Doc Holiday, as well as other Native Americans, African Americans, and Western women. Another exhibit, “Heading West,” is dedicated to the earliest settlers of the region, including fur trappers, stagecoach passengers, and mountain men. Movie buffs can explore “The Mythic West,” with its collection of pulp magazine covers and vintage movie posters. Look for John Wayne (as if you could miss this larger-than-life star! ), rodeo champion-turned-actor Hoot Gibson, and others. An exhibit called “Ansel Adams: Before and After,” has proved so popular, it’s been extended through April 3, 2016. It’s a fascinating look at some of the photographers who influenced Adams, as well as some of the artists who learned from him. One of my favorites is the Presidential Gallery, with its collection of signed letters from each president of the United States. Art in the Civil War Gallery traces our nation’s worst conflict; its paintings are hung in chronological order to help visitors understand the timeline of battles. Keep your eye on the museum’s calendar, so you don’t miss any special events. There’s an annual Summer Entertainment Series, as well as a yearly Cowboy Festival and Symposium scheduled for October. Bring the kids for a reenactment of the shoot-out at the O.K. corral and demonstrations of fancy roping and Native American dance.